The subject of the Prudential Regulation Authority (PRA) Buy to Let underwriting changes is not a new one; however, with January just around the corner it might be time for you to start considering how it might affect your future property investments. So what are the PRA changes? For any new mortgage with a five year term or more a stress test at a minimum of 5.5% on the rental calculation will be applied.3 Borrowers must demonstrate that they will still be able to make payments on the mortgage if the mortgage interest rate were to rise to that level. For mortgages with terms less than five years, or rates fixed for five years or more this will not be applied. At present, nearly all lenders require that the rental income is at least 125% of the mortgage payment when stress tested at the 5.5% rate. However, in light of the incoming tax changes, many have already increased this to between 135% and 145%, again reducing the amount that can be borrowed against a property, with more lenders likely to follow suit as time progresses. When are they being implemented? These changes will come into effect on 1 January 2017, although additional changes will be introduced at the end of September 2017. Any Buy to Let mortgage applications made after this date will be subject to the new rules. 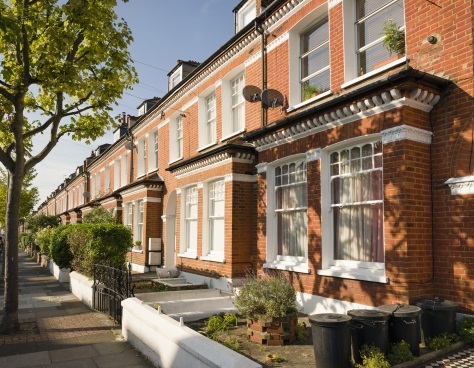 Despite the increasing complexity there are still opportunities, and seeking specialist advice could help you make the most of your property investments, particularly if you have invested in properties in London and the South East. You may wish to remortgage your current Buy to Let properties or submit new mortgage applications before January in order to capitalise on the current lender criteria. With these new, tighter regulations making lending tougher, some lenders are already starting to change their lending criteria to be in line with the new PRA rules. We have access to over 80 global lenders who lend on a range of criteria, as well as highly experienced specialist mortgage advisers; if you would like to discuss expanding your portfolio before the changes, remortgaging current properties or moving property into a Special Purpose Vehicle call us on 020 7519 4985 or send us an email to speak to one of our specialist Mortgage Managers, who will be happy to talk through your options with you.